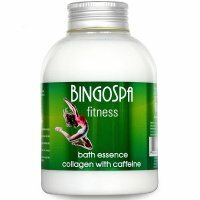 Collagen 100% by BINGOSPA. 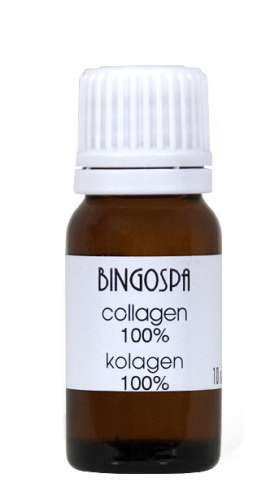 It is an extremely concentrated product consisting of 100% collagen. Perfect for face, body and hair care, with a focus on mature, tired, dry skin and exposed to the harmful effects of external factors. The product penetrates into the deepest layers of the skin, complementing the collagen deficiencies, thanks to which it regenerates and minimizes wrinkles, expression lines, discolorations, scars and stretch marks. After application, the skin becomes elastic, soft and extremely soft. In addition, the product eliminates the effects of abrasions, burns (including sun) and bruises. Cosmetic available with a capacity of 10ml. For face, body and hair care. It makes the skin regain its firmness and elasticity. It significantly reduces wrinkles, blemishes, scars and stretch marks.